Chronicles of Eidola, A new free-to-play (F2P) browser will be coming to AMZGame! Set in a magical world, Chronicles of Eidola is a completely new turn-based RPG game. In this game you play as an avenger who can create contracts with heroes, devils, and servants to achieve your goals! 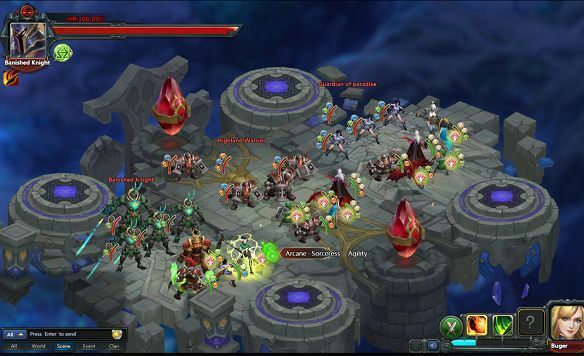 You can face deadly bosses on your own, or team up with other players to risk everything on nearly impossible quests. You can even challenge other players and destroy their plans. Let's unveil this new world!
? The game - Chronicles of Eidola uses the new, independently researched flash stage 3D engine, which enables the game's 3D imaging to work well on any browser. With impressive CG, models, and battle display, this new engine marks an evolution in browser gaming, and an entirely new experience.
? The gameplay is especially notable. With the element turn plate, tactical fighting is essential to surviving unpredictable battles. Likewise, the different types of Eidola allow players to have greater control over building and customizing their teams. It is exactly this easy to play, difficult to master element that makes this game so unique. ?